One of the biggest problems with Apple TV is that in order to log into applications, users have to enter usernames and passwords into their set-top box one letter at a time using a remote control. 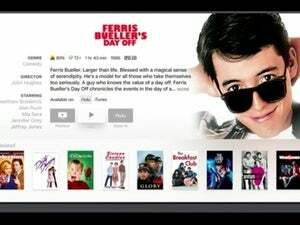 Apple is aiming to fix that with a forthcoming update to tvOS, the operating system powering the Apple TV. Users will soon be able to dictate text to Siri, including usernames and passwords, so they don’t have to hunt and peck out long strings of text. What’s not clear is how Apple will secure users’ spoken password data; Apple TV will have to record and process people literally speaking out their passwords. The company will release tvOS 9.2 (which was previously in beta) late Monday, the company said. The update also includes support for putting tvOS apps in folders, so users can clean up their home screens. In addition, Siri will also be updated to support searching the tvOS App Store, allowing people to find applications without typing out their titles or relying solely on Apple’s curation to suggest new apps. Search is important because there are now 5,000 tvOS apps in the store for people to choose from, including games, educational tools, and even a way for people to order food through GrubHub, Apple CEO Tim Cook said.